Packaging : The packaging is quite simple and nothing chic or attractive. 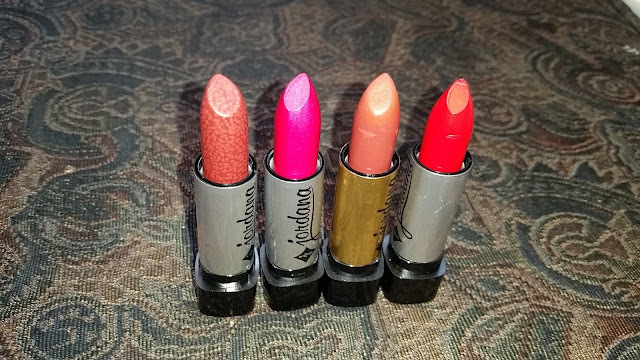 The Creamy ones comes in a Silver and black plastic bullet and the matte ones in Golden and black tube with the name of "jordana" printed in Black color. It has a see through cap which makes it easy to locate the shade in the stash. Texture : The creamy and matte both applies smoothly on the lips without tugging. 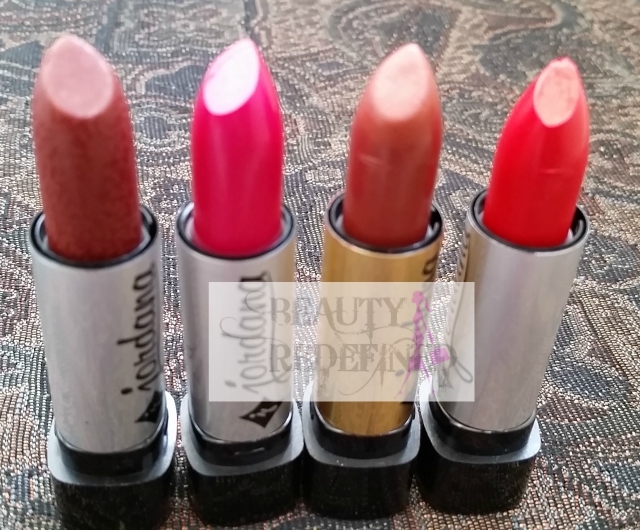 This lipstick doesn't feel drying nor hydrating on the lips. It feels comfortable to wear. Pigmentation : It is highly pigmented and provides fully opaque coverage in just one swipe. 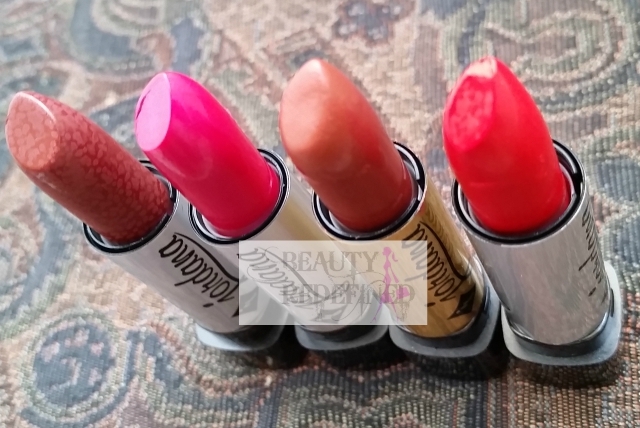 The creamy finish provides satin finish while matte looks semi-matte to matte which is just perfect. 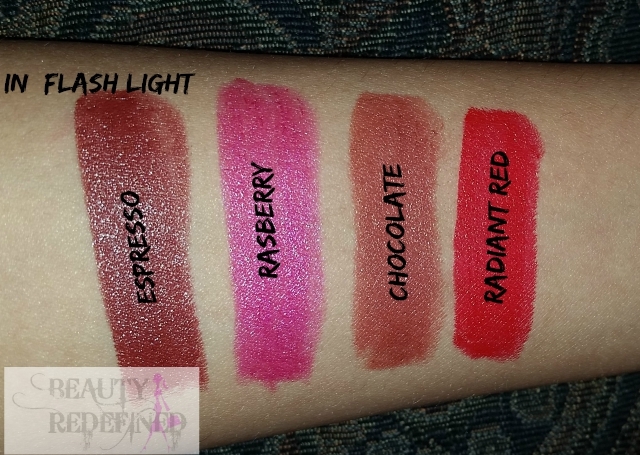 Lasting : The staying power of this lipstick is pretty impressive too and it lasts on my lips for about 5-6 hours. It has shelf life of 24months which is amazing. 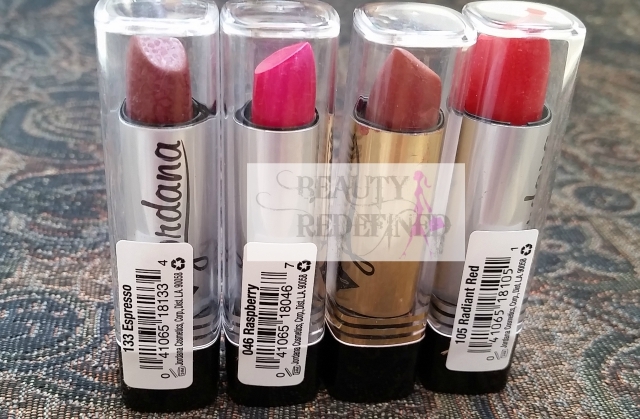 Overall : These are great lipstick for every day wear and comes in variety of shades to choose from. 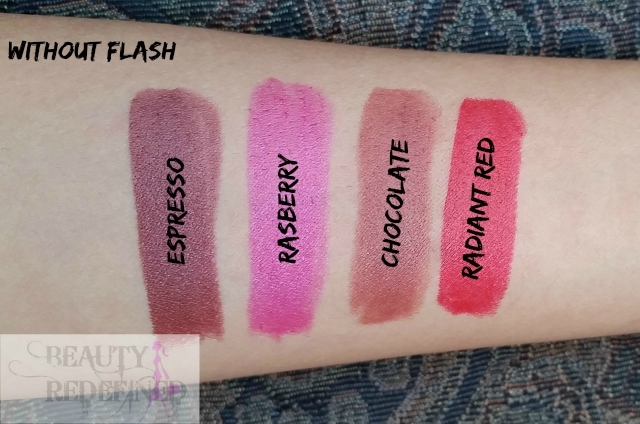 It is creamy, even matte doesn't dry out your lips. Price & Availability : it's priced 445 PKR and currently on 20% discount at Just4girls so don't miss out your chance. You can Avail Further 5% discount while shopping your Just4girls.pk using code "J4GBR5"
Jordana really is a great affordable brand! Yes the packaging is lacking, but their products are really quality! 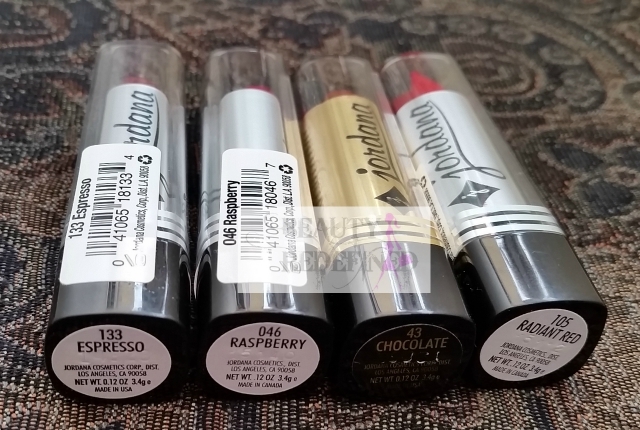 I love their mascara - the one in the black & purple tube! 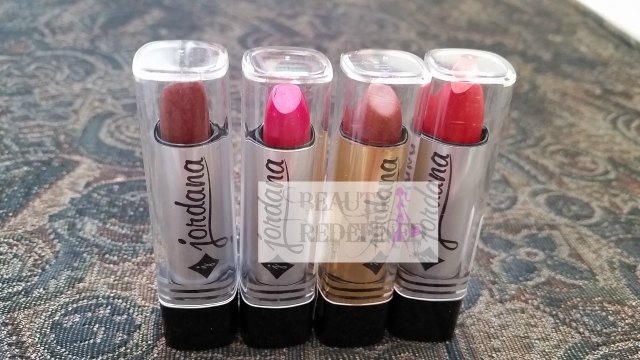 I've never tried any Jordana products but I love the look of Raspberry, what a pretty shade! I've never liked the packaging. Radiant red seems like my kinda color.